The ASUS ZenFone 4 Price List & Pre-Order Offers Revealed! Right after Korean superstar Gong Yoo launched the ASUS ZenFone 4 family of smartphones at the Next TV Studio in Taipei, ASUS Malaysia revealed the ZenFone 4 price list and pre-order offers! Check them out below! Updated @ 2017-08-20 : Added more details on the upcoming arrival of the ASUS ZenFone 4 and ZenFone 4 Pro, as well as purchase links for the ZenFone 4 pre-order offers. 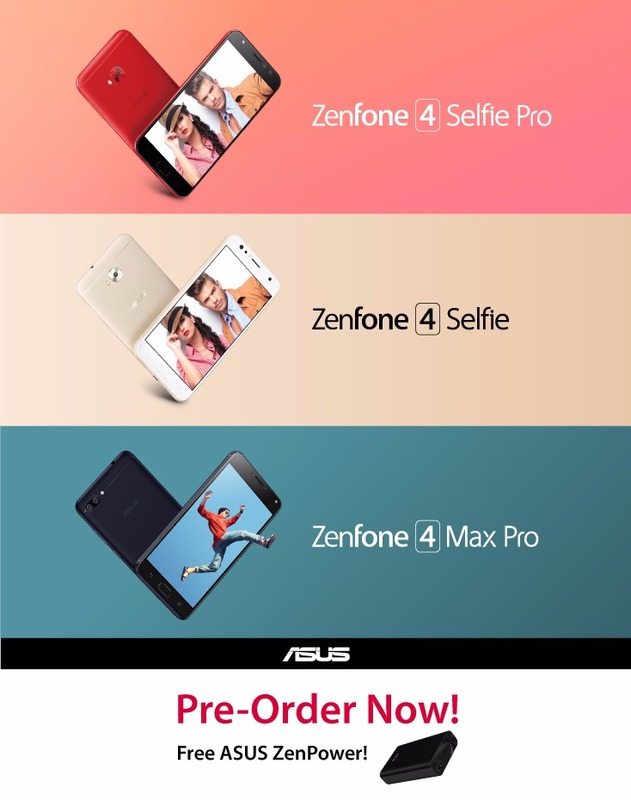 ASUS Malaysia will only bring the ZenFone 4 Selfie Pro, ZenFone 4 Selfie and ZenFone 4 Max Pro to Malaysia, at least in the beginning. 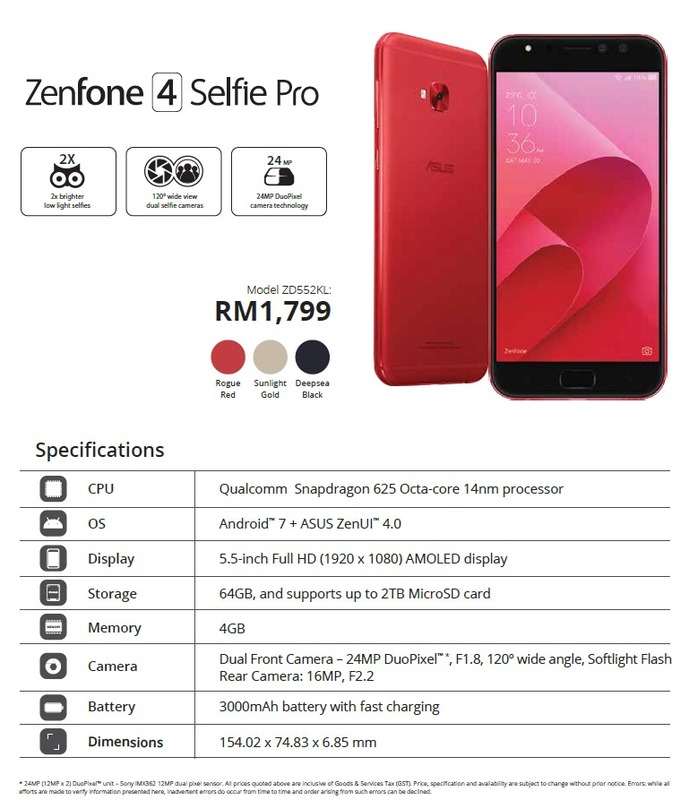 The ASUS ZenFone 4 Selfie Pro will retail in Malaysia for RM 1,799 / ~US$ 429, inclusive of the 6% GST. 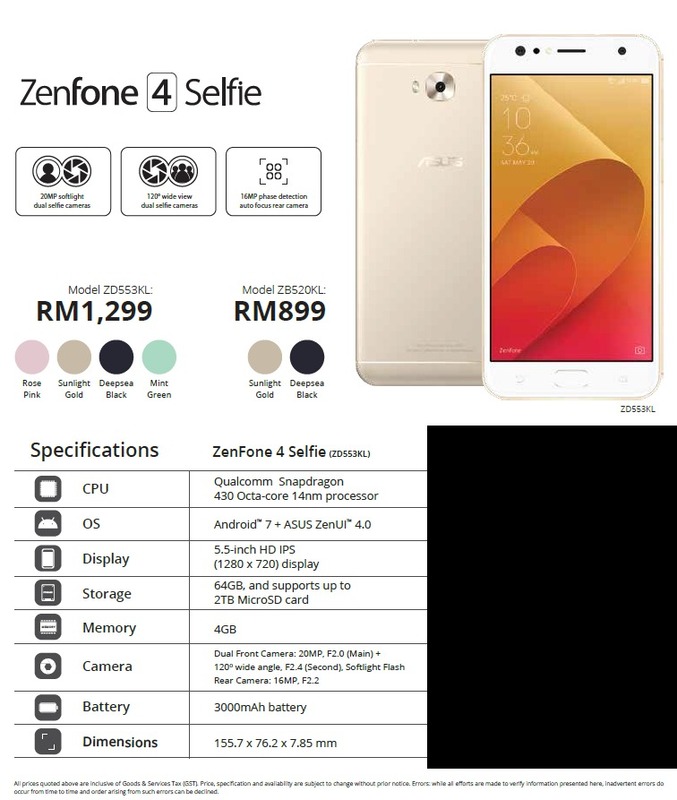 The ASUS ZenFone 4 Selfie will retail in Malaysia for RM 1,299 / ~US$ 309, inclusive of the 6% GST. ASUS Malaysia will also bring in a slightly smaller 5.2″ variant (Model ZB520KL), which will be priced at RM 899 / ~US$ 214. 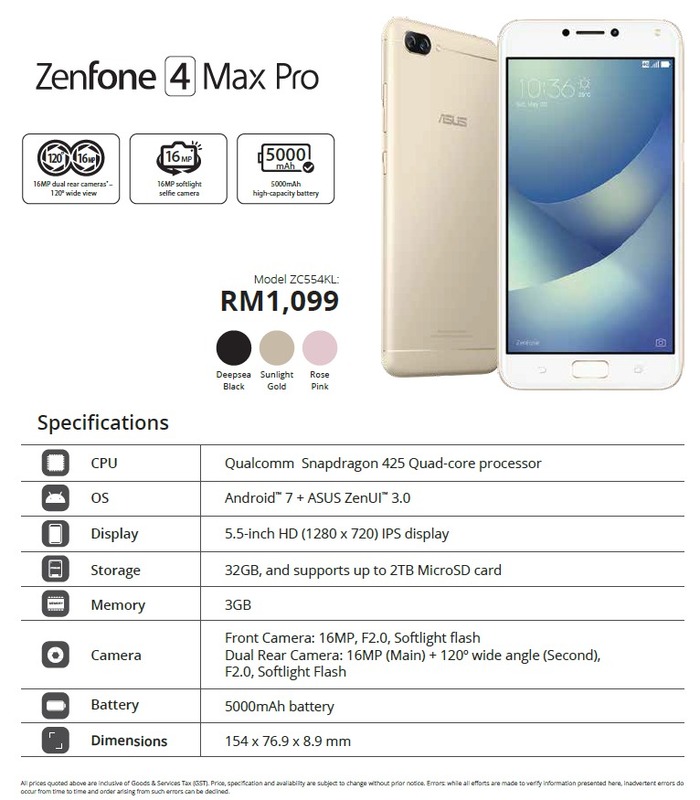 The ASUS ZenFone 4 Max Pro will retail in Malaysia for RM 1,099 / ~US$ 259, inclusive of the 6% GST. If you pre-order the ASUS ZenFone 4 Selfie Pro, ZenFone 4 Selfie or ZenFone 4 Max Pro between 17–24 August 2017, you will get an ASUS ZenPower 10050 mAh power bank, and these goodies from ASUS Malaysia (while stocks last), and their e-commerce partners, Lazada and Shopee.